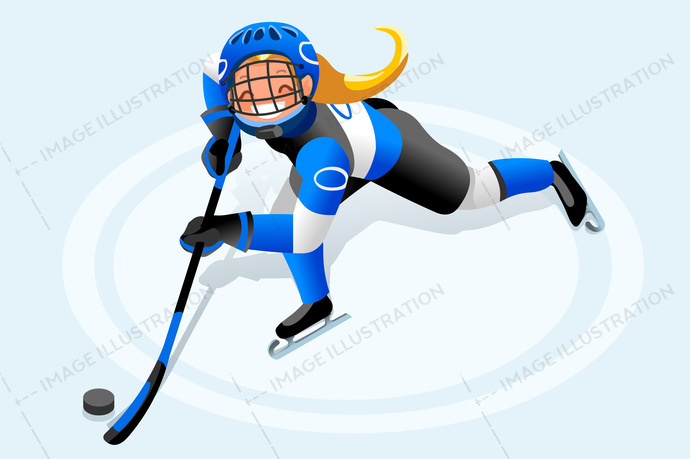 SKU: Hockey-Vector-Girl-Cartoon-Player-AurielAki. Categories: Hockey Cartoon, Isometric Character. Tags: 3d, background, canada, cartoon, cc, character, Clip Art, clipart, design, element, equipment, federation, female, field, flat, games, girl, gloves, gold, hockey, ice, icon, illustration, illustrator, infographic, isolated, isometric people, kids, logo, medal, net, olympics, people, player, poster, puck, rink, skater, skates, skating, sports, symbol, team, usa, vector, wallpaper, winner, winter, woman.